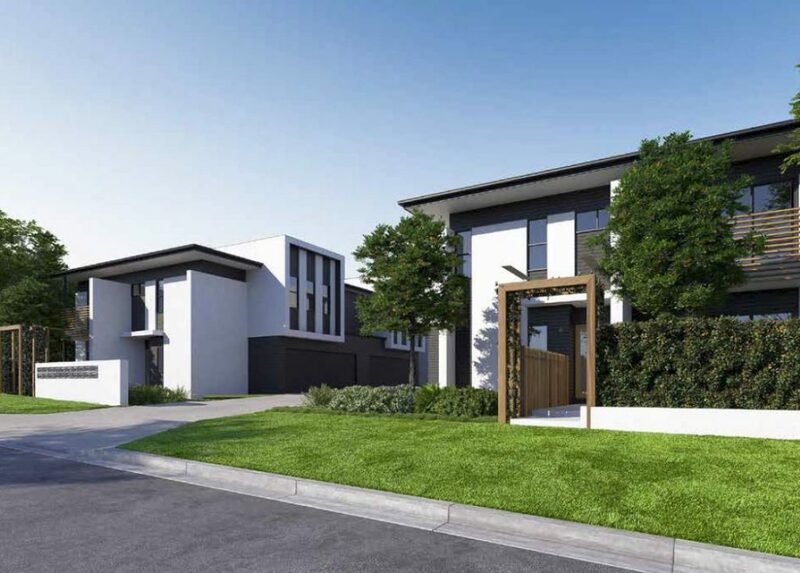 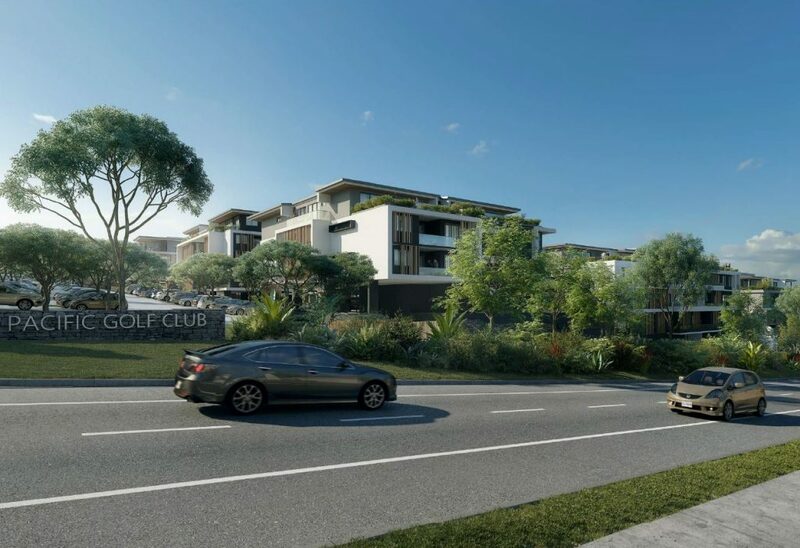 Designed by Think Tank Architects, the proposed retirement village seeks two hundred (200) medium density units across seven (7) architecturally designed residential buildings and a new golf clubhouse building, which will be completed over 3 stages. 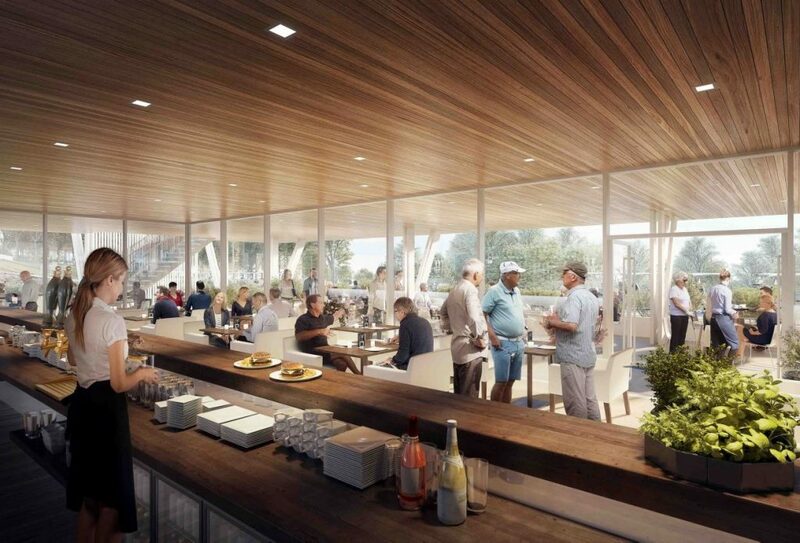 The golf course will be reconfigured to retain the 27-hole golf course. 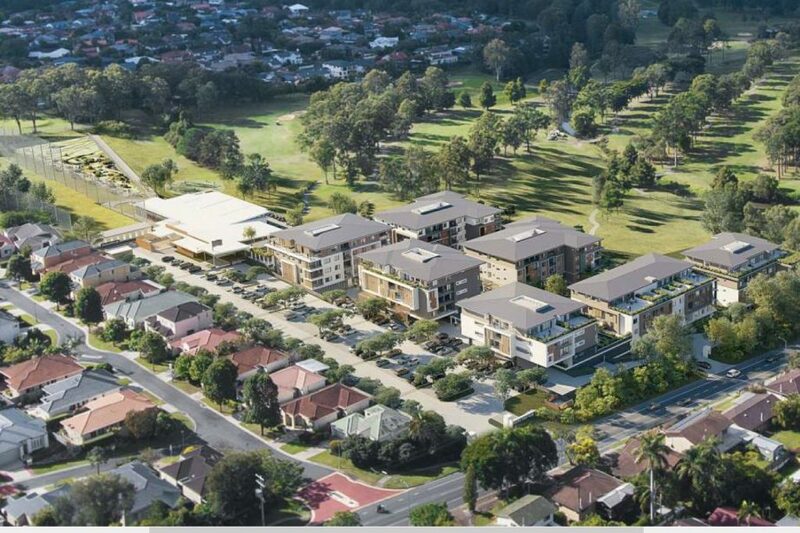 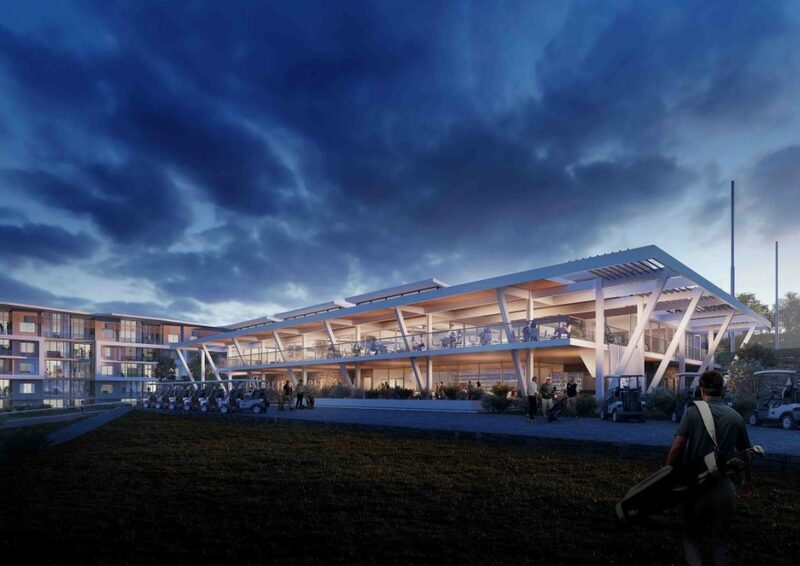 The buildings propose a maximum building height of 6 storeys (15.7m high) facing the golf course and lowered between 3-4 storey fronting Pine Mountain Road and the new car parking area. 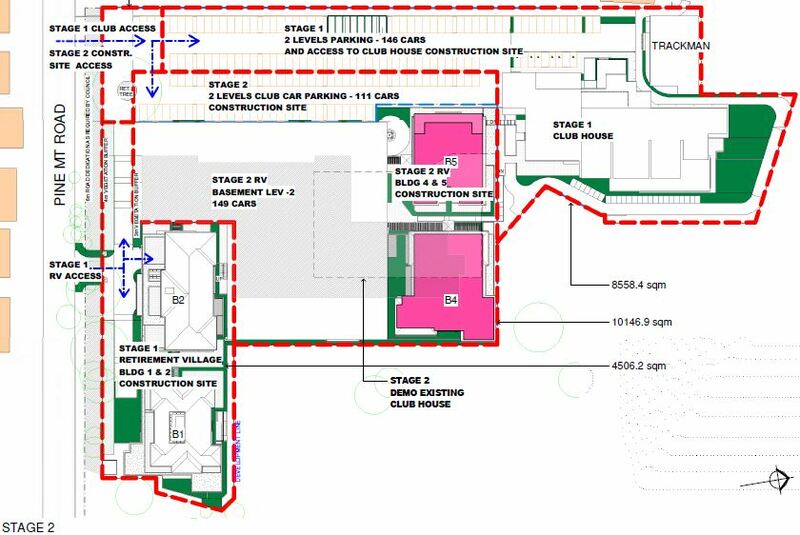 The existing clubhouse, carpark and part of the existing golf course will be removed to facilitate the proposed development. 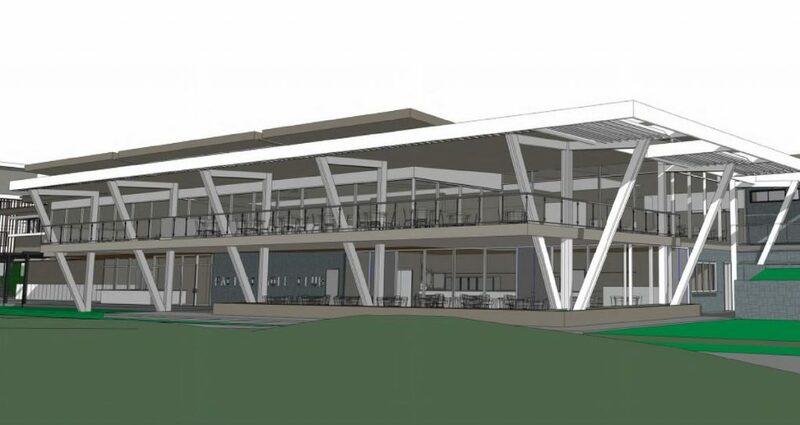 The proposal provides private open space in the form of balconies and terrace areas, with 4,609.3sqm of overall communal space provided, in particular the common area provided on level 2 of both the under Building 3, 6 and 7. 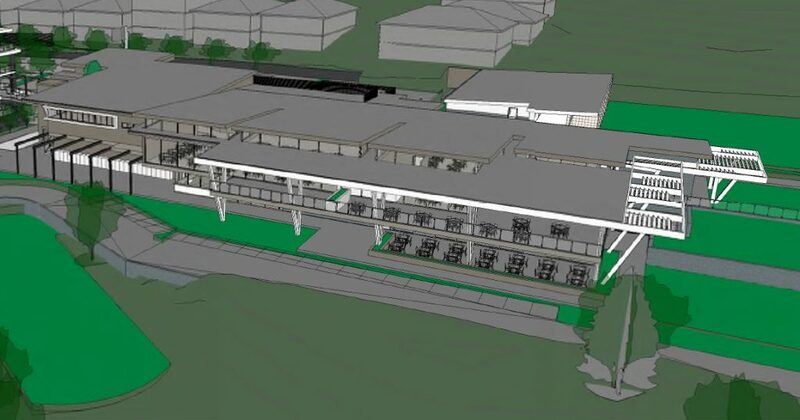 The common area includes landscaped breakout zones, library swimming pool, lounge area, bar, café, consulting rooms, gym and cinema. 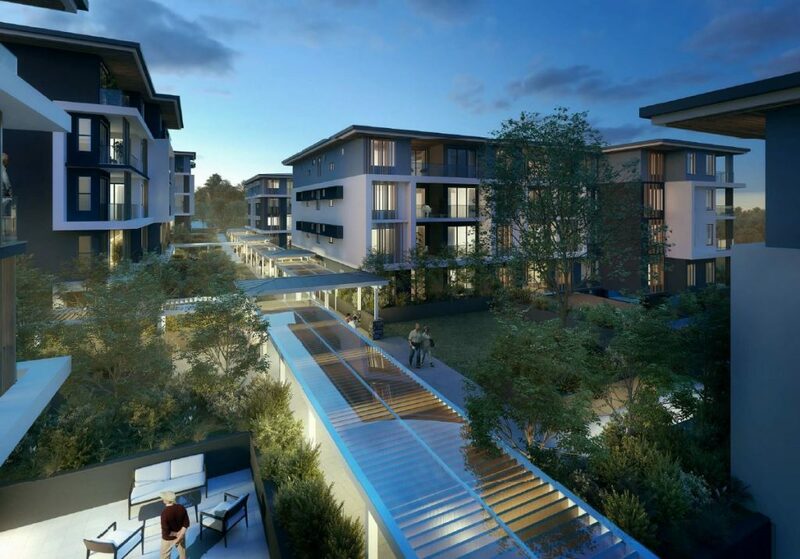 The buildings are separated by landscaped courtyards, interconnected by walkways and plaza space. 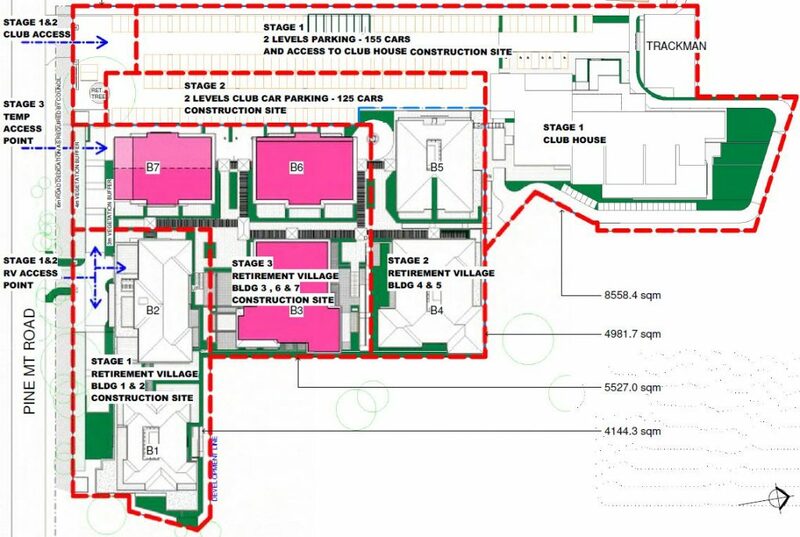 The proposal provides 551 car park spaces (257 golf club spaces and 294 unit retirement unit spaces) within the three (3) basements and ground floor. 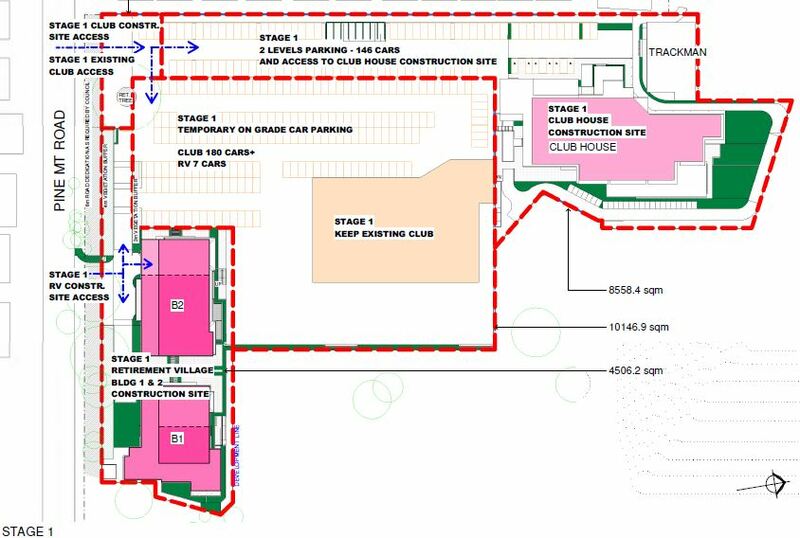 Separate access points to Pine Mountain Road have been provided for the golf club and retirement units. 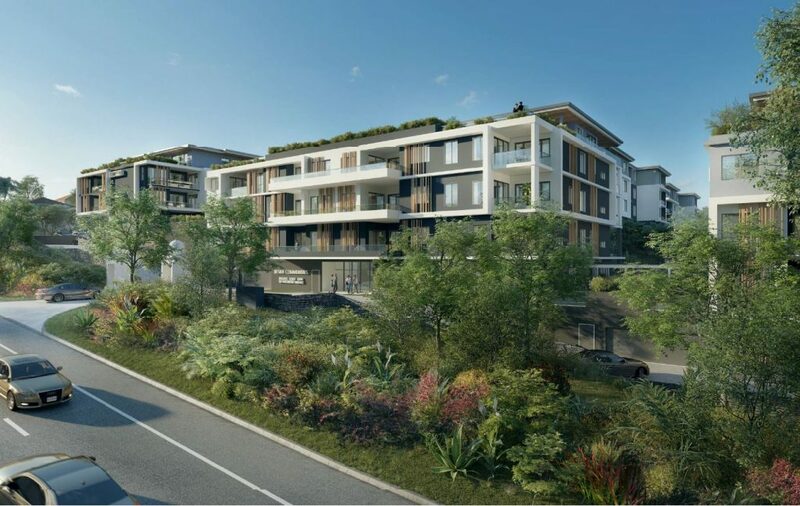 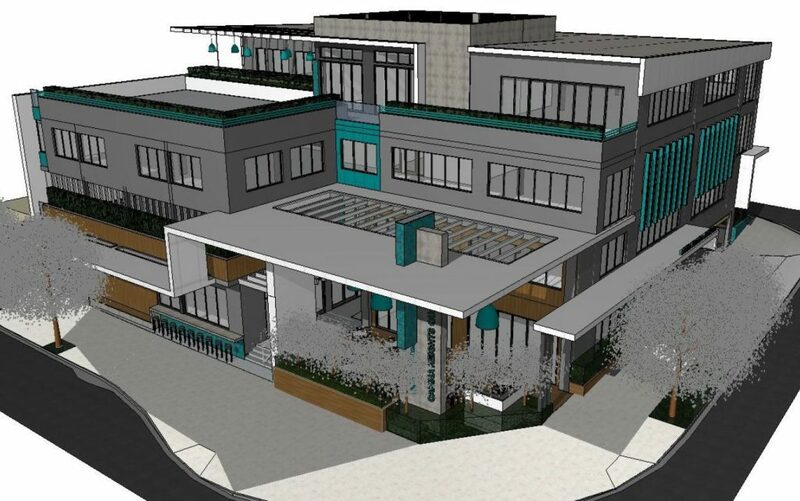 The planners at Town Planning Alliance state, “The proposed built form has been carefully considered so as to integrate with the character and amenity of the area and transition sensitively to surrounding uses. 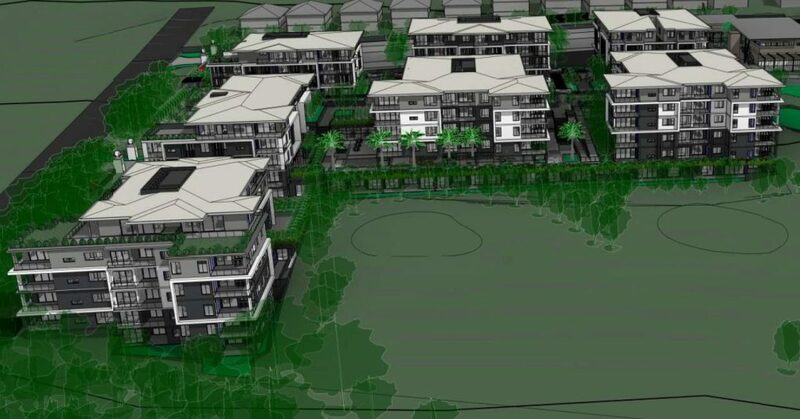 The proposed built form locates higher components internally within the large site where expansive setbacks and separation are achieved to the street frontages and common boundaries of the site. 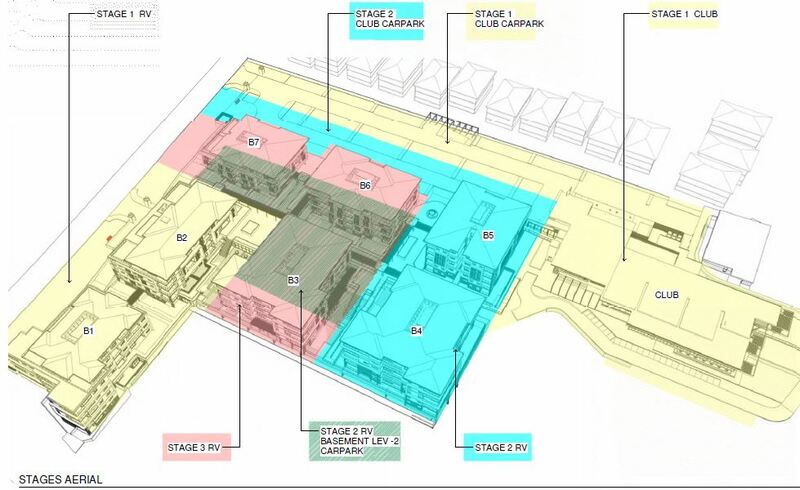 The proposed built form is identified as achieving a bulk and scale that is compatible with the surrounding local context”. 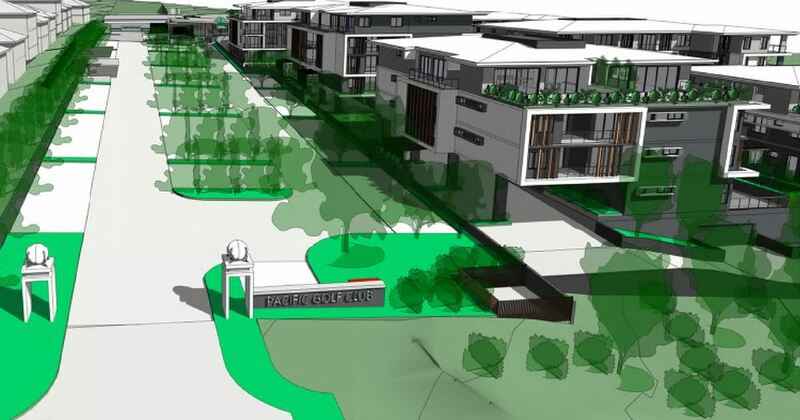 “The proposed design locates higher components internally within the large site where substantial separation is achieved to residential uses and the street thereby reducing the appearance of bulk and scale and resulting in an outcome that is compatible with the surrounding locality. 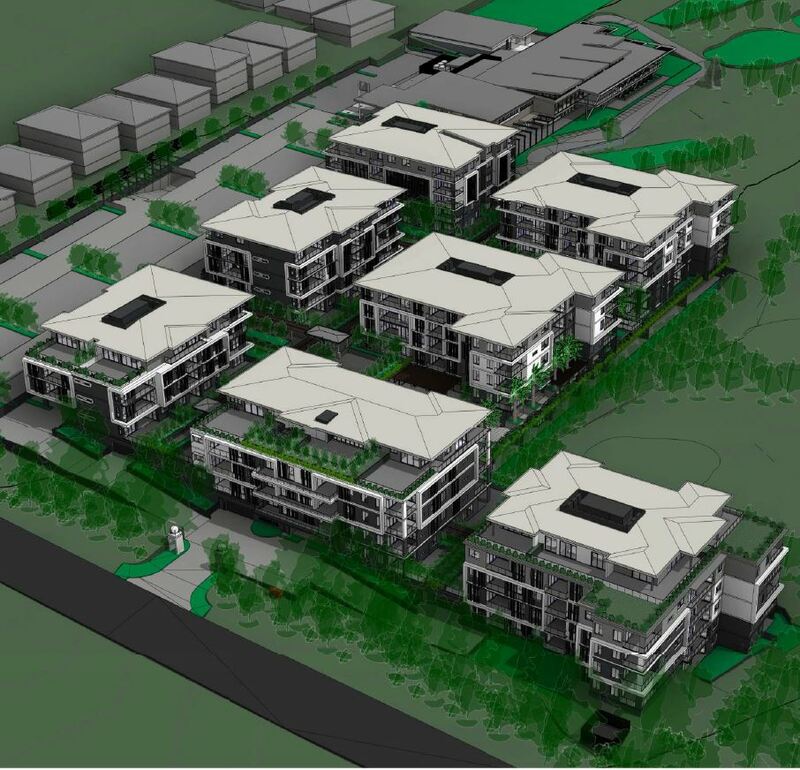 The proposed design provides building height transitions to the streetscape and surrounding residential uses. 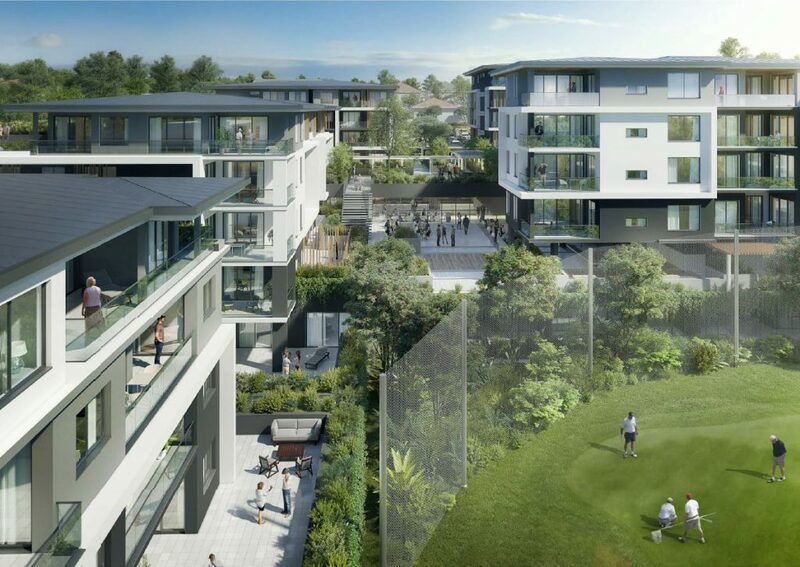 Additionally, the upper levels are recessed to transition sensitively to the surrounds and provide for amenity”. 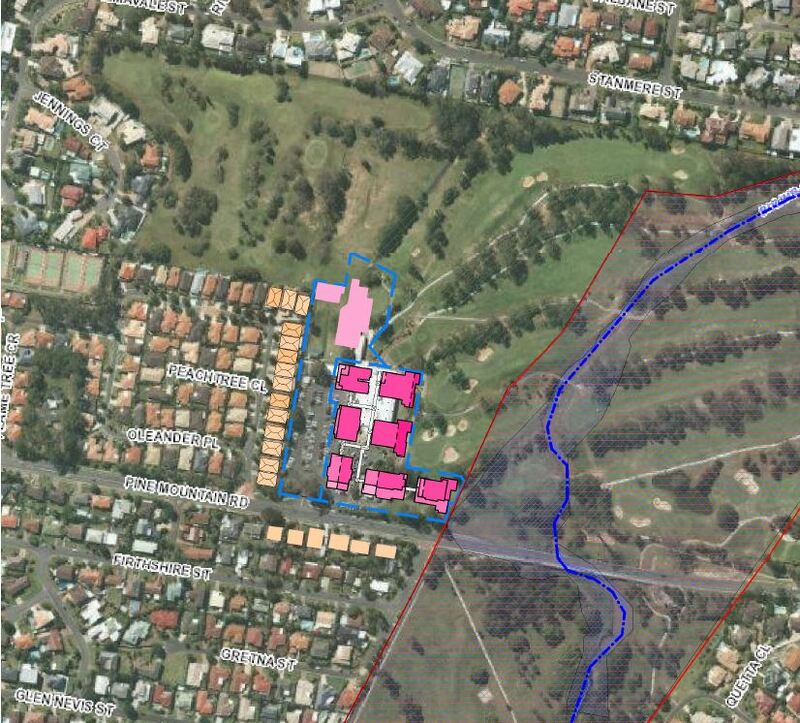 The proposal is for 25,298.9sqm of gross floor area, with 23,837sqm (4.3%) of site cover over the 548,613sqm golf club site.